Sankranti Subhakankshalu to all my dear readers and friends! Its that time of the year to welcome the three day harvest festival, Makara Sankranti. The festivities began yesterday with a lot of feasting. Pulihora, garelu, halwa boorelu, bobbatlu, cauliflower masala curry, potato fry, kakarakaya (bitter gourd) nilava pachadi, charu, appadam and yogurt with white rice was the lunch menu for ‘Bhogi’ (first day of the festival). Over the weekend we prepared two traditional savory preparations ~ Ribbon murukkulu and Chegodilu. 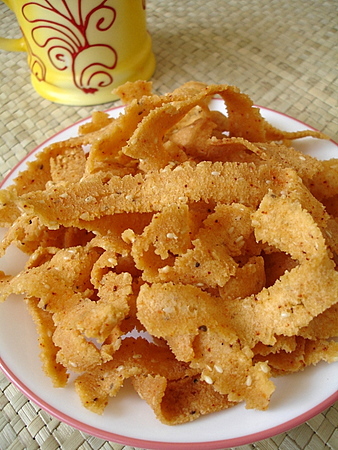 Ribbon Murukku is prepared from Jantikalu dough that is deep fried using the ribbon disc of the jantikalu gottam. I have already blogged Jantikalu recipe and you can follow that recipe to prepare Ribbon Murukkulu. Pearls of Wisdom ~ When you notice something good about someone, compliment them. Even if you have said it many times before, say it again. Don’t worry that others will get tired of receiving appreciation – nobody does. Sankranthi subhakanshalu to you and your loved ones as well dear sailu….. Thank you, RP garu. 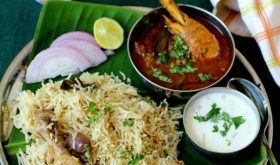 I have already blogged Nilava Allam Pachadi and Allam Pachadi recipes. I am yet to blog pachi allam pachadi and dibba rotte. Will definitely blog both the recipes soon. Wish u and ur family members a very happy Sankranthi Sailu garu. thanx for posting a lovely snack item on this festival day! Thank you for your wishes, Manu garu. Murukku looks crispy and crunchy. Happy Makar Sankranti. Happy Sankranti to you too! Murruku looks yummy with a cup of tea…….. I regularly follow your blogs and thank you for taking me to my sweet memories in India. I used to live in Seethammadhara, Vizag. Thank you so much for your recipes and wonderful pics. I introduced this site to all those I know. Hearty congratulations for doing a great job with native Andhra food and mouth watering pics. Wish and your family a joyous Sankranthi. Murukku looks so yummy and crunchy. Happy Shankranti. Hi Sailu my name is Vani. I am a great fan of your site. i tried some of your recipes and they came out good, thanks to you. Happy Sankranti. I was looking for this recipe. ribbon murrukku is loved by all. 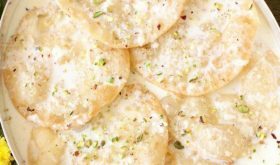 Sailu, pls post the recipe of double ka meetha. Thank You Sailu Gaaru and wish you the same.. Wish you and your family a very happy Sankranthi Sailu. Ribbon murrukku looks very crisp and nice. Happy sakranthi to you and your family. Murukku looks so crispy and yummy. Sankranthi Subhakankshalu Sailu garu. Your Ribbon Murukku looks very vibrant and crunchy! I will definitely try it. Happy Sankranthi! Nice photo of Ribbon Murukku. looks crunchy and munchy. Wishing u and ur loved ones a very happy Pongal. Wish you and your family Happy Sankranthi . I like pongal very much but i do’nt get the right taste. Could you please post that recipe? Thank you. 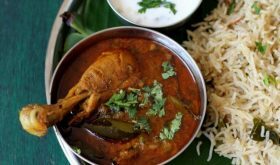 Sailu garu, mee site valla neenu first time pongal and chicken curry cheesanandi..(successful ga) they came out very well. Thanks a lot! and will keep dropping in. happy sankranti to you and your family, dear sailu. Happy Sankranthi to you and your family ! Ribbon pakoda looks perfect! hey! u have yummy site up there :D. I’ve been going through it for sometime now. 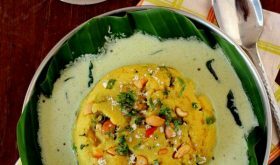 Keep posting more and more Andhra recipes. 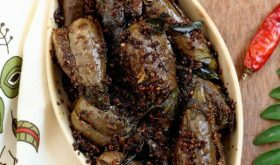 I don’t find the description of how to prepare this recipe, Sailu garu, can you plz update. thnx in advance! Oh sorry, I missed the line saying to refer to Janthikalu Recipe. Are you the sailu from central university from Dr. Appa raos lab?If so please write to me. I have never studied at Central University, Jayasheela. Your ribbon Murukku looks delicious. I would love to try it but can’t find your recipe. Am I missing something? I see your recipes for everything else but not for this. Please provide recipe.